We have furniture scaled to fit our Playhouses! 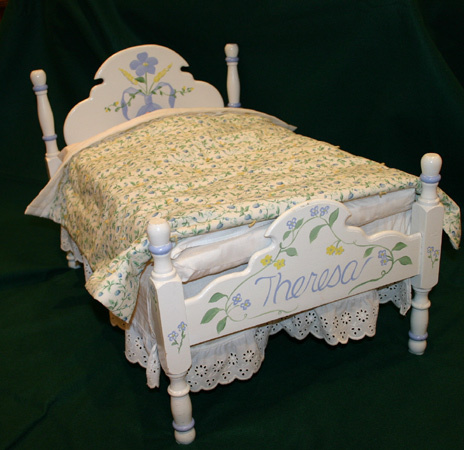 With incredible detail and precision over the years, our wood crafters have created a complete line of hand-crafted furniture that is sure to bring squeals of delight from children and adults alike. 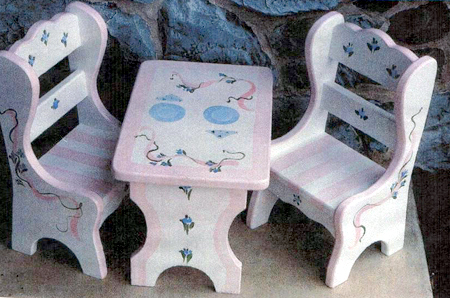 Furniture options include the 4-piece kitchen set, round table with chairs, slant top deck with chair, and even doll furniture for 21" dolls! 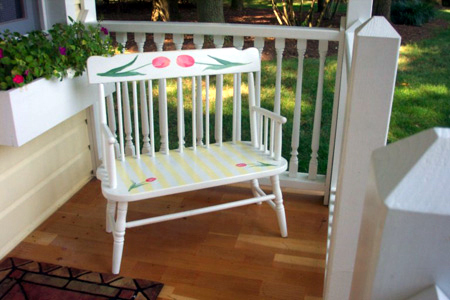 You determine whether or not your furniture is hand-painted or unfinished. Please call about additional furniture not displayed on website.